Pipi isn’t like his four brothers or the other young monkeys living in the forest of Hullabaloo: he has bright-pink fur, a mischievous character and a rebellious streak that lands him into all sorts of scrapes. In this story, an expanded version of Collodi’s original tale, we see him lose his tail to an ancient crocodile, end up as a valet to a young master, fall into the hands of flying bandits and become emperor of a tribe of apes, before preparing to set off on a long journey at sea. Collodi wrote this story immediately after Pinocchio, and the little monkey’s adventures present clear similarities, both in terms of themes and characters, with his more celebrated masterpiece. This rediscovered gem of Italian literature is here adapted and expanded by Alessandro Gallenzi. 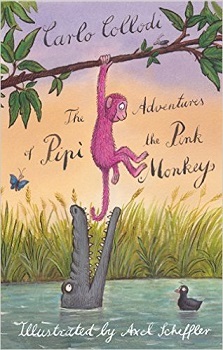 Pipi is an unusual monkey, not like the rest of his family, for he is pink in colour. Pipi is also a mischievous monkey who always manages to find himself in trouble. Pipi steels a smoking pipe from a man, and then hides it from his family, but it’s not long before the man finds Pipi and takes him away in a sack. This is the start of his adventures. From then on he is head butted by a ram, dressed up by a human and forced to become his companion, kidnapped by a nasty gang, have his tail eaten by a crocodile, and become an emperor of a group of monkeys who demand everything from him, including the sun. Written by the author of ‘The Adventures of Pinocchio’, this book has that magical feel to it. 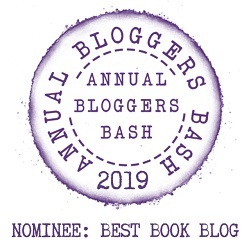 It is fun, filled to the brim with excitement, and will have kids hooked from the first page. The book most certainly lives up to its title of being an adventure, as Pipi ends up in lots of them, mostly by the mistakes he makes. There are some terrible, mean villains in the story, which give it that fairy-tale feeling to it too. You can’t help but fall for this lovable rogue, and hope that his adventures will all turn out okay for him in the end. Carlo Lorenzini, better known by the pen name Carlo Collodi (November 24, 1826 – October 26, 1890), was an Italian children’s writer known for the world-renowned fairy tale novel, The Adventures of Pinocchio.